Wages and salaries are one of the largest costs of every company, regardless whether they are a small startup or an established business. But, they are often the most difficult to control. Before considering firing their employees or cutting their compensations, responsible companies will always turn to other legitimate and sustainable ways that will not affect their reputation, morale, and profits in the long run. Make sure you pick the right people from the very beginning. Your aim should be to hire the most productive employees. Of course, this is not easy, and there are no guarantees. But this means that you need to spend more time and energy in the selection process. In the long run, it is worthwhile putting in more effort in hiring the right people. If an employee doesn’t prove to be productive, you might have to either hire more people and spend more money on wages. If your employees are not productive enough, they might not know how to do their job in the first place. The best way to avoid this is to make sure you provide your employees with proper training. Not providing proper training for your employees can lead to increased costs because you might be forced to hire another person to do the job. Make sure you avoid this trap and provide in-depth training whenever you hire a new employee. It is worth the investment in the long run. Forget about putting your employees in highly specialised categories. Enable them to perform a variety of operations. This will you more freedom in making changes without putting your business at risk. Sometimes employees are more productive on jobs that are not specifically assigned to them. This is why both employers and employees may benefit from more diversified roles of employees. Outsourcing has become a standard practice among businesses these days. And there’s a good reason for that: you hire experts to work on a specific task, which can be more cost-effective. You can make significant savings as you don’t have to hire a full-time employee or pay an existing employee more money to take on a new task. You can outsource trusted companies like Alsco to perform certain operations in your business, such as uniform rental and cleaning and washroom maintenance. This step eliminates the need for hiring a new employee. Although it might seem like a considerable investment, in the long run it is more than worth its cost. Machines can perform tasks faster, without any risks of low productivity due to injuries, sick leaves, or dissatisfaction. Nowadays a wide range of different tools is offered that you can use in tracking your wage costs. They provide with a clear picture of how much you are spending on wages. Another advantage of these tracking tools is that you can predict how much you will have to spend on wages in the upcoming weeks. Using tracking tools will save you a great deal of money. Instead of putting it away, you can use it to fund incentives. These incentives should be offered to the most productive employees. Tracking tools can help you in predicting wage costs and set your budget. The amount of time employees should spend working needs to be based on your budget. Adjust the number of workers according to specific needs on certain days or for particular operations. You should be strict with following your budget to avoid the usual pitfalls. Employee time theft occurs when employees get paid for work they didn’t do. Your business might be losing money due to it without you even knowing it. Time theft is not always easy to detect and can come in many forms and levels of severity. You should use more reliable methods of employee sign-ins, such as finger scanning or face recognition. 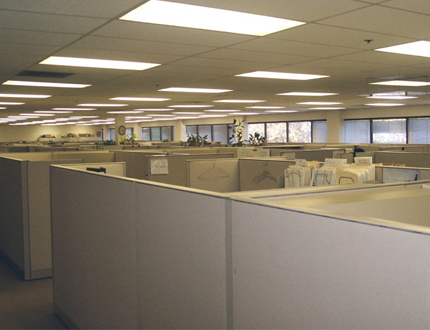 The layout of your workplace has a visible effect on its output and productivity. This is most obvious in manufacturing workplaces where the layout has a direct impact on workers’ efficiency. Proper office layouts encourage collaboration and productivity. The more productive your employees are, the better your chances of cutting wage costs. This list should provide you with some insights into effective ways of cutting wage costs. Try to avoid drastic cuts as wages will always make the most significant part of your expenses. Contact us at Alsco to learn more about our professional rental services to maximise your profits and minimise your costs.